Concept cover by Glass Knife Press. There’s a lot of advice out there saying not to use second person, ever. Like any absolute rule, it’s wrong. Decades after reading it, I still remember the chapter about arrest and detention in the first volume of Solzhenitsyn’s GuLAG Archipelago. It’s written in second person, and the effect is to plunge you into a brutal and inescapable situation. Interactive fiction uses ‘you’ for the same reason that Solzhenitsyn chose it in his nonfiction narrative; it’s ‘you, yes, you’ who’s in the story. Does it work? It all depends on the writer’s skill. Just because it’s been done poorly (cheesy ‘choose your adventure’ books or bad role-playing games) doesn’t mean that you should avoid it. For that matter, ‘choose your adventure’ and role-playing games, like any literary form, can be cheesy or transcendent. Dismissing an entire form as crap is as lazy-minded now as it was for eighteenth- and nineteenth-century critics who ranted about the evils of novel-reading, or (a bit later on) the dissipation of ragtime, movies, jazz, rock-n-roll, selfies, or video games. 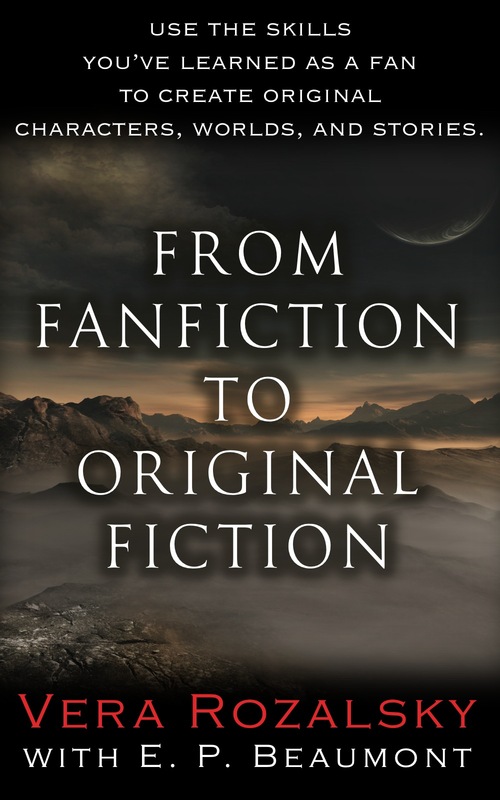 This entry was posted in Writing and tagged Excerpt, From Fanfiction to Original Fiction, Nonfiction, Vera Rozalsky. Bookmark the permalink. Yes, I absolutely keep the option to use second person in my memoir writing, especially when I am separating voices; I use it deliberately and in clear knowledge that it could “go bad” but it serves a powerful role. P.S. I cannot WAIT until this book comes out! I have been looking forward to it for years. It will be a real service to fan-fic and other, very serious, writers.